Bright, lively and full of flavor. 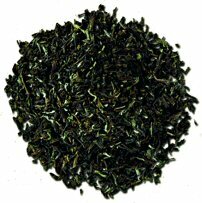 Has a lovely muscatel character with a hint of nuttiness, an excellent 1st flush Darjeeling. This is a very unusual Darjeeling. It is almost like a combination of Darjeeling and Assam teas! It has many of the characteristics I expect from a Darjeeling, but also some of the characteristics of a high quality Assam. Interesting… very interesting, indeed! I can immediately sense the muscatel – I can smell the wine-like notes as well as taste them. But where this differs from a typical Darjeeling is that it isn’t as light-bodied. This tea is a little more solid and strong. Not quite as hefty as an Assam, but certainly not as sparkling as a Darjeeling. This seems to fall somewhere in the middle, making for a delightful medium-bodied tea. There is a delicious undertone of malt to this tea, as well as a lovely honey-caramel sweetness. There is also a decidedly masculine note to this tea, almost “leathery” in presentation. There is also a toothsome quality to it – which is quite different than most Darjeeling teas that I’ve encountered. Like I said, this is really an unusual Darjeeling – unusual, but delicious. This is a tea that I would recommend to the lovers of both Darjeeling and Assam. It makes for a great morning tea for the Darjeeling fan, and a great late afternoon tea for the Assam enthusiast. And for someone who just loves tea… you should really try this one! The Red Panda always picks freshest Darjeeling teas! The Red Panda is the mascot of the International Tea Festival in Darjeeling! This blend of farm fresh Darjeeling tea comes from the Red Panda’s personal stash of 2010 Second Flushes and 2010 Autumn Flushes. Creating a rich, yet balanced cup with rich notes of muscatel grapes and sweet florals. This is one of the very best – if not THE best – second flush Darjeeling teas I’ve encountered. It is so incredible! As some of you may know, I have been on a quest to find that “ideal” Darjeeling – one that matches that very first Darjeeling experience that I had several years ago. I had come to the conclusion that I put that particular Darjeeling on such a high pedestal that no Darjeeling – no matter how good – could match it. But now… I think I have found the Darjeeling that is worthy to take that coveted place. Now, I’m not saying that this is the same Darjeeling … instead, I think this one is better. I don’t think I’ve ever experienced a Darjeeling quite like this one. It has such a lovely sweetness to it which is a perfect compliment to the muscatel of this Darjeeling. The muscatel is fruity and slightly floral, with just a hint of musk. This possesses that “Darjeeling” crispness but it is different because it doesn’t come across as astringent as other Darjeeling teas. 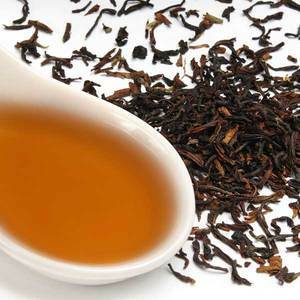 It is also a different crispness because this Darjeeling is not as light-bodied as a typical Darjeeling. So while this does taste crisp and clean, it also has more body and substance to it. There is no bitterness to this tea. It is incredibly smooth and absolutely delicious. The aftertaste leaves me with a pleasing muscatel essence and a hint of that honey-esque sweetness. Truly a lovely experience, this Darjeeling! This tea is available in very limited quantities. At the time of this writing, there were only 14 samples left – and by the time this review publishes, it may be sold out (in which case, I’m sorry!) 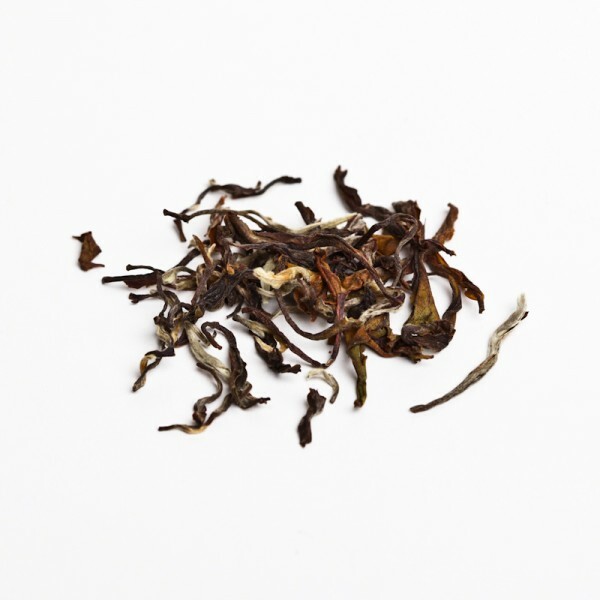 A truly fantastic Darjeeling – I do hope that Chi of Tea is able to get more in stock! Strong but sensitive – we like that in a tea. These organic, golden orange pekoe tea leaves are grown on the rolling hills of Darjeeling, India. This rich drink evokes the quality tea from India, and we think its subtle astringency pairs perfectly with dessert. I’ve said it before: I love Darjeeling tea. It has such a lovely elegance to it that is reflected in its color, its aroma, and its flavor. 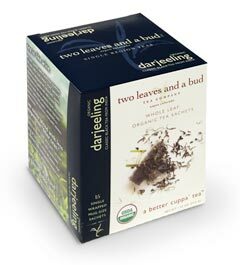 This Organic Darjeeling from Two Leaves and a Bud is a delightful Darjeeling – with a clean, almost crystal-like flavor that seems to sparkle on the tongue. Is it any wonder why Darjeeling is often called the “Champagne” of tea? The flavor has a lovely floral background and a somewhat woodsy tone to it. It is slightly musky and has a clean fruit note that offers a slight sweetness to it. The astringency is not overwhelming, but does leave the palate feeling slightly dry and clean … and ready for another sip! This is a tea that I could probably drink all day long! Having previously reviewed this tea, I can’t say that my opinion has changed much since that first tasting. This is one of the finest Darjeeling teas I’ve encountered and it is offered in the convenience of Two Leaves and a Bud’s beautiful, silky tea sachets. And, yes, I have many times stated that loose leaf is better than tea sachets. That being said, I have never been disappointed by a tea from Two Leaves and a Bud! They seem to be the exception to the rule! The teas from this company are always top-notch – regardless of the sachet! I really like this Darjeeling from Two Leaves & a Bud, and in a way, it sort of epitomizes what Two Leaves and a Bud is about for me. High quality, delicious tea. Darjeeling 2nd Flush (Margaret’s Hope Silver Moon) from Canton Tea Co.
We are delighted to include this as one of our first examples of top grade Indian tea. It is a magnificent high grown Darjeeling from Margaret’s Hope, a tea garden that’s known and loved the world over. The long twisty leaves are a delightful mix of chocolate and copper browns with an abundance of silvery tips. It produces a bright gold liquor with a malty aroma, a well rounded flavour and a sweet, fruity aftertaste. This fresh, brisk tea denotes a well-produced, high grade Darjeeling. We only have a few kilos and then there is no more available – anywhere. I love Canton Tea Company! Every time I have one of their amazing teas, I become more impressed by them. Quite simply, they carry some of the very best teas available! This Second Flush Darjeeling is a perfect example of what I mean. Produced in the Margaret’s Hope tea garden, this Darjeeling is so delicious! To say that this Darjeeling is different would be an understatement. First of all, we have the dry leaves which are quite long and elegant in appearance. Most Darjeeling teas tend to be chopped rather small. But not this one. The brewed liquor possesses a light yet pleasing fragrance. It smells fresh with notes of fruit and distant hints of flower. Quite lovely. But the most remarkable thing about this tea is the flavor. It is one of the very best Darjeeling teas I’ve yet to taste – and I’ve tasted quite a few. There is a malty overtone to the cup – which is a flavor that I don’t usually get from Darjeeling tea, but I’m tasting it now. It’s a rather remarkable surprise, indeed! The taste is clean and crisp and there is very little astringency to this particular Darjeeling (another nice surprise, as I usually find Darjeeling tea to have a bit more astringency than this). There is a sweet undertone to this that is honey-like in flavor. Melded with the honey-like tones is a delicious fruit flavor that tastes a bit like grapes. The second infusion is just as delicious as the first. It doesn’t have the same malty note that I got in the first infusion. Instead, I’m getting a stronger taste from the honey tones as well as a more pronounced fruity flavor – this time I can taste hints of currant and even a little bit of crisp apple! Overall, the flavor is a complex, vibrant cup that I am really enjoying. I recommend this highly to all Darjeeling enthusiasts… I may have just found the ULTIMATE when it comes to Darjeeling! 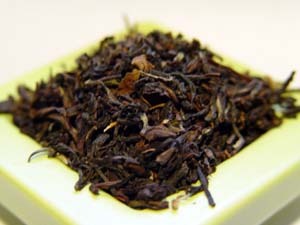 Organic, light-bodied Darjeeling black tea blended with organic anise seed and sweet fig and blackberry natural flavors. This fragrant and gently sweet tea is excellent in the mid-afternoon, perhaps accompanied by a scone. Indian Black Tea*, Anise Seed*, Natural Flavors. When I found this tea at a Made In Oregon store, I knew I had to buy it! First of all, I love supporting local businesses. Second, after smelling the anise, blackberry and fig aroma of this tea (they had little “smelling” jars on the shelves so that we could experience the fragrance before buying! ), my mouth began to water – right there in the store! Finally, as if I needed further persuasion (I didn’t), it was a flavored Darjeeling tea! I mean, seriously… how could I go wrong with this tea? This is a delightful afternoon tea. I say “afternoon” tea, because, well, I find Darjeeling to be just a little to “light” for morning. In the morning, I need something with a bit of vigor… something that is going to help me shake the remnants of sleep and help get me going! This… isn’t that tea. But what Darjeeling lacks in “vigor,” it more than makes up for with its light and refreshing taste. And that lightness is just right for this blend. The muscatel of the Darjeeling complements the fruit flavors of the fig and blackberry (which seem to be more of a unified flavor, rather than two separate fruit tastes, which results in a very smooth, deliciously sweet fruit essence). The anise is also sweet… and is a very delicate note of licorice-like flavor that seems to wash over the palate throughout the sip and linger just ever-so-slightly in the finish. I adore this tea. When served hot, it makes a great little pick-me-up to help with those afternoon blahs… and when served iced, it is perfectly refreshing and light! Delicious! Contains black tea, blue cornflowers and bergamot extract. Soothing blend of selected darjeeling, blue cornflowers and bergamot extract. As I’ve stated on Steepster, this is a masculine Earl Grey. While I think that Earl Grey should probably be masculine, because it is named after Earl Grey… and yet some Earl Grey teas that I’ve tried (and I’ve tried quite a few!) come off a bit flowery and are a bit more feminine than the name would suggest. But, not this tea. This is why I would call a masculine Earl Grey – and tastes the way I would expect an Earl Grey to taste: fresh, bright, bold and daring! I think it’s the Darjeeling tea. The muscatel qualities of the Darjeeling meld together quite nicely with the bergamot, and give it a different flavor than a typical Earl Grey. Bergamot, as many of you probably already know, is a fruit – an Italian orange, to be precise. And while it does offer a citrus-y punch to Earl Grey blends, it also has a somewhat flowery note to it that often gives Earl Grey teas a somewhat feminine flavor… or at the very least, a more androgynous flavor. But the muscatel of the Darjeeling – that slightly woodsy, musky note – seems to unite with the bergamot to offset some of the more flowery tones to the fruit, and allow the distinctive citrus flavors to shine through. The result is a taste that is brisk and pungent: very pleasant with a slightly sharp edge and not at all floral. This Earl Grey is delicious and refreshingly different. I prefer it hot (as I do with most Darjeeling teas) but it is also quite good chilled, although the flavors are a bit softer in the cold tea. It is good without sweetener; however, if you choose to ice it, I do recommend adding a little sweetener to give the flavors a little more gusto. A very good Earl Grey! Grown in the foothills of the Himalayas in Northern India, the black tea from the Pussimbing Estate is picked in the spring. New leaves are picked every seven days for over a month. 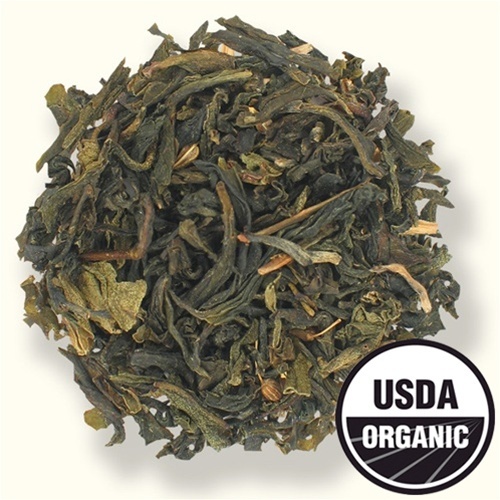 The teas produced during this period are light bodied with a slightly floral, nutty flavor with hints of peach. Our Darjeeling Pussimbing Estate Reserve is Certified Organic and brews up fragrant, with a complex, vibrant flavor. Sometimes I think most Darjeelings are darned-near the same..taste-wise. At least the ones I have tried so far! It’s not that I don’t like them…I do…but I haven’t really found one I LOVE yet. I mean really LOVE. One that makes me say WOW. Darjeeling Pussimbing Estate Reserve from Drink T is nutty but not like a peanut or almond. It’s bold but not astringent. It’s vibrant and energizing! It grabs my attention and is not your run of the mill Darjeeling! It’s also semi-sweet yet smooth! Darjeeling Pussimbing Estate Reserve from Drink T has changed my thoughts on Darjeeling! YUP! It’s official…Darjeeling Pussimbing Estate Reserve from Drink T is my FAVORITE Darjeeling to date!